Ellenwise Phase 2 started in late 2016 and picked up where Phase 1 made a great start. Funded by United Utilities, the three-year project aims to deliver an improvement in water quality through an integrated catchment-based approach. To provide a better understanding of ways to improve water quality, we have welcomed Josh Gittins to the team. Josh is a PhD student at Lancaster University; his project focuses on reducing phosphorus loading in freshwaters from agricultural land-use, using novel and cost-effective strategies. 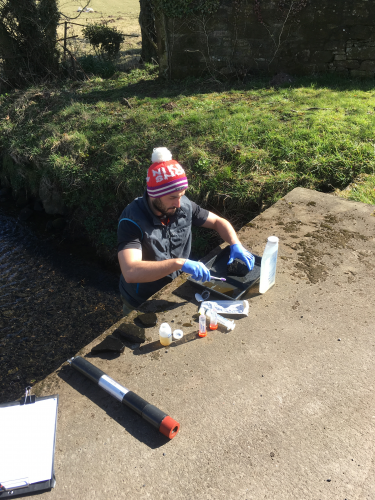 Josh visits the Crookhurst regularly to monitor the water quality and a range of ecological measures at different locations across the catchment. In 2018 a number of on-farm interventions will be established and Josh will be quantifying the effects the interventions have on water quality. 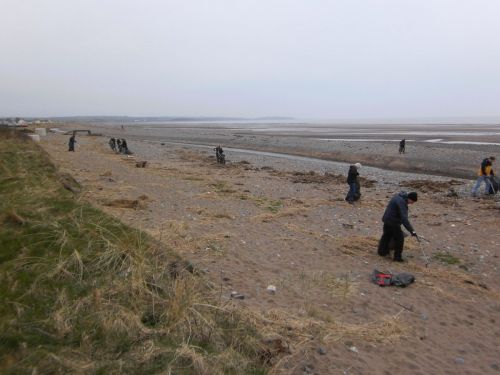 We will also be working with our partners and local organisations to raise awareness of how to maintain septic tanks, getting involved with Beach Cleans, Himalayan balsam pulls and working with local schools. To keep up-to-date with what is going on in the catchment subscribe to our e-newsletter. To get involved with volunteering in the catchment subscribe to our volunteer mailing list.